Um. I haven’t written anything in a while. Correction. I haven’t posted anything in a while. 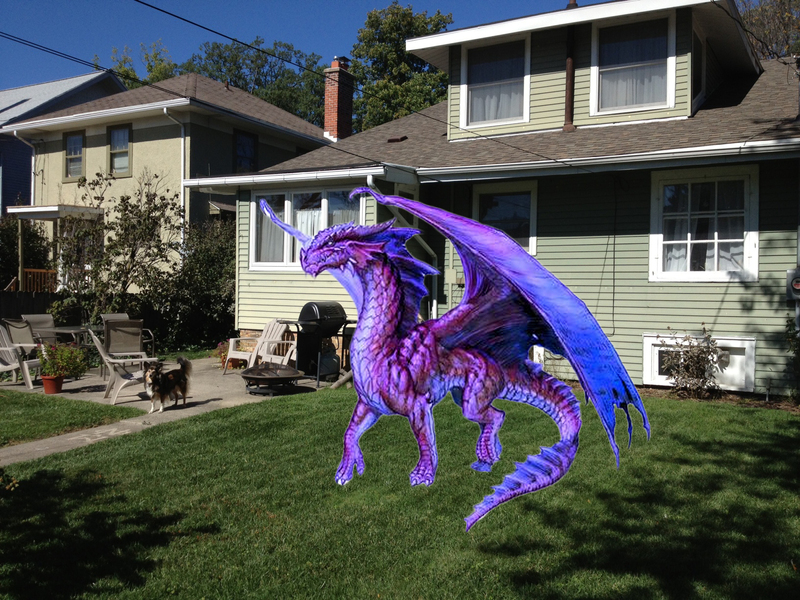 A dragon has not landed in my yard. Just FYI. What I need to do is post something, so I can get back into a rhythm without obsessing (which I do, but we’ll get to that later). So this post is about nothing. (Call it my Seinfeld post.) In fact, you probably shouldn’t even read this. It might be boring. I don’t even have writer’s block, really. I have started writing about a number of things. There are no fewer than five open Word docs on my laptop right now, in addition to this one. I have about 20 or so other starts in a folder. Some of them you may see someday. Some will languish forever. Maybe because they aren’t fully formed ideas, but also maybe because I’m wayyyyyy better at starting things than I am at finishing them. Someday we can talk about Narnia, which, funnily enough, is what I call my Spare Oom. (Which probably isn’t funny at all if you haven’t read the first book.) Why Narnia, you ask? Well, in addition to the normal way to enter a room (through its doorway), you can also get to this room through a closet. Hence…yeah. Anyway, Narnia is filled with unfinished projects. The dollhouse I bought when I was 13 (which is currently disassembled because it kind of fell apart when I moved). A large bag of yarn that I bought to crochet an afghan for my ex-husband, which for obvious reasons I lost interest in when I got divorced, and also I no longer work with my Crochet Mentor who could teach me how to make things even though I can’t read patterns and do everything backwards because I’m left-handed. A big box of clippings and mementos for a nonexistent scrapbook. A box of mason jars for when I, you know, take up canning. (WTF.) And those are just the things I know off the top of my head. There are boxes in there. And bags. And piles of stuff. It’s not pretty in Narnia. It’s an uncompleted project wasteland. Maybe it’s because I get distracted easily. I’m now mulling over the words “incomplete” versus “uncompleted”. I’m not actually sure uncompleted is a word, but it doesn’t have a red squiggly line under it, so it must be. It’s officially autumn now, which we know not because the temperature is cooler (I had my air-conditioning on over the weekend), or because the leaves are turning, but because my TV is exploding with new television shows. As a pop culture junky who is also a little obsessive, I watch way too much TV in the fall. I used to limit myself to one new show a year. Now I identify every show I might be interested in and set my DVR to record the first episode or two, in addition to all the other shows I already watch. Because the slightly obsessive part of me can’t just watch a show from time to time. I have to watch all or nothing. I started watching Scandal midway through last season, and over the summer I had to binge watch everything that came before. Same thing with Good Wife the year before, except I had three seasons to catch up on. So when new shows start, it feels like my opportunity to get in from the start and not be forever playing catch-up. Yes, I watch too much TV. I recognize this. It’s kind of sad how liberating I find it when summer gets here and my DVR can go back to storing movies for me to delete unwatched at a later date when it gets too full. But too much TV is another one of the lame reasons I haven’t been blogging. Although some TV makes for good blogging background noise. Dancing with the Stars is the perfect companion for writing. No intricate plotlines to keep track of. At the moment I’m writing while attempting to watch new show Hostages, which is far too complicated for me to follow while doing something else. This suggests to me that I will be cutting it loose soon, if I don’t care that I’m not giving it full attention. Speaking of yarn (well, you know, I said the word “yarn” a while ago), I was walking through Michael’s over the weekend while on a quest to find inspiration to fashion my own tie-backs for my living room curtains. Which was a failed mission. But I did get kind of swoony over all the pretty yarn. Way too swoony for someone who doesn’t actually know how to knit (at all) or crochet (without major guidance). It made me want to work on a project. WAIT, OMIGOD, I CAN TIE THIS ALL RAMBLING NONSENSE TOGETHER (sort of)! Because when I’m crocheting while watching copious amounts of television, it makes me feel productive, and like I’m not being a totally useless human. Plus, when it gets cold out, having a pile of yarn on your lap is warm and snuggly. Anyway, I’m thinking of attempting to figure out how to make something on my own. Eons ago, I bought a teach-yourself-to-crochet book. Even though I’m inept and left-handed, I’m not a complete idiot. Surely I can figure out how to do this. If I can find the book. It’s probably buried somewhere in Narnia. I heart you, man. And I also now have lost a lot of my anxiety about your possible visit to my house sometime in the distant future. I have a room like that. And now I know I don’t have to amazingly organize it before you get here. And I totally get your yarn obsession. And TV obsession. Like I said, I heart you, man. What an attractive dragon! I love its coloring!!! 4. Ummm what about selecting a password that folks received manage to guess? ?